This 2018 Quilt Show was our 18th Biennial Quilt Show. Continuing with our tradition, our show is a juried show. Judged, not by the 'quilt police', but by a judge who acknowledges 'what they like'. This year we were delighted to have local artist Robyn Ross. 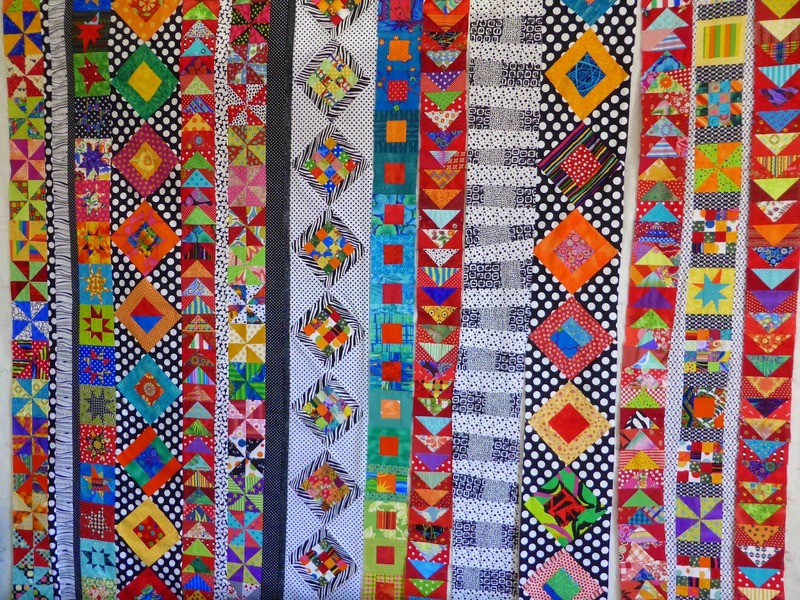 Throughout the show, visitors enjoyed the exhibited quilts made by members of the group, and an additional exhibition, showcasing baby quilts made for the Grace Centre for Newborn Care at Westmead Children’s Hospital. 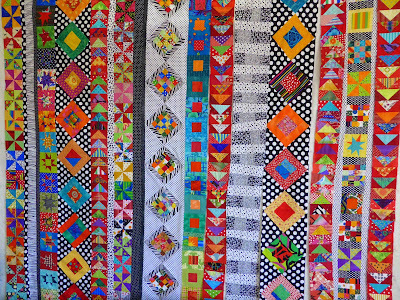 As well as enjoying the quilt displays, visitors were able to buy original waggas, quilts and gifts, shop for their sewing needs from the Material Obsession shop and enjoy tea, coffee and local, homemade goodies. The 'Alysoun Ryves Best of Show' award was presented to Karen Malone for her quilt: 'Welcome to the Labyrinth'. Karen also won the Hangers' prize. The Viewers' Choice and the Members' Choice Awards were unanimously won by Helena Fooij for her quilt, My MO BOM Journey. At the Group's 34th birthday celebrations in September, Quilt show coordinator, Meg Moodie, presented a large cheque to the Brain and Mind Centre at the University of Sydney, to continue the research work of Assoc. Professor Elizabeth Scott into youth mental health. On the same day, the little cot quilts were presented to caring staff at the Grace Centre for Newborns. home made goodies in the 'tea room'. The winning two raffle tickets were drawn at 4pm on Sunday, the final day. Julia Birmingham from Berry choose Bush Bouquet and Louise Binney from Lindfield won Metropolis, the quilt she wanted to win.. The Show judge was Alex Herbert, chef and inspiration behind the restaurant `Bird, Cow, Fish’. In the tradition of the Archibald's Packing Room Prize, we had the Hunters Hill Quilters Hangers Prize: this was won by Jenny Stitt for her quilt 'Blackbird in the Dead of Night', voted for by the willing helpers who helped to set up and hang the quilts. 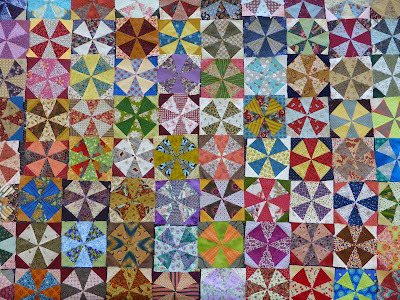 Viewers' Choice was won by June Pryor for 'Daisy Chain' and Members Choice was won by Robyn Johnson for her quilt 'Exploration in Isometric Universe' .